Steve Jennings/WireImageHundreds of people turned out to a church in Indianola, Mississippi, on Saturday for the funeral of blues great B.B. King. Five hundred people gathered inside the sanctuary of Bell Grove Missionary Baptist Church, located in King’s hometown, while 200 others watched a live broadcast of the funeral in the church’s fellowship hall, according to The Clarion-Ledger. “No one worked harder than B.B. 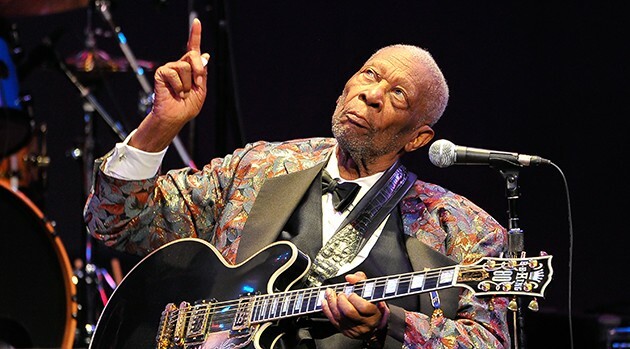 No one did more to spread the gospel of the blues…B.B. may be gone but that thrill will be with us forever. And there’s going to be one killer blues session in heaven tonight,” Obama added. King died May 14 in Las Vegas. He was 89.